The best moments of creative inspiration are born of listening, understanding and collaborating, allowing expertise and experience to add value without giving way to preconceived outcomes. BLGY Architecture provides a team-based approach to architecture that achieves design excellence using a collaborative process. By applying a diverse set of creative talents, the team channels the energy and imagination of clients, staff and other team members to create architecture that is both practical and meaningful. 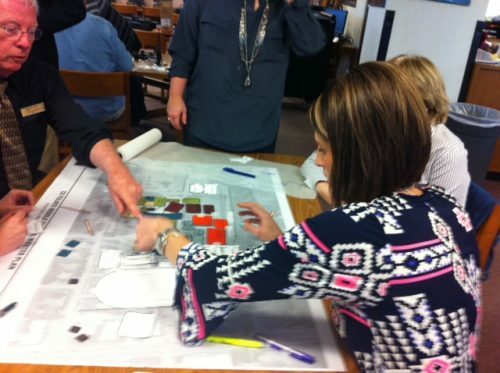 Our Design Charrette and Visioning Process is a collaborative, open, transparent process that invites participation in the design process. The process communicates three-dimensionally, to foster a clear understanding of expectations. It creates buy-in as participants have been a part of shaping the response, resulting in a smooth and efficient process, and saving both time and money. Results of the charrette form a strong foundation for future development of the design. Read about our design services and how we can help deliver your project on time and within budget.